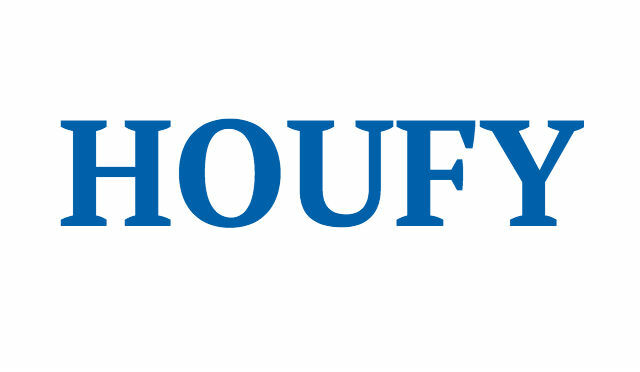 To follow Martin Lerario, please log in to Houfy or create an account. Relax and recharge your batteries in our real Pocono Log Home Getaway! This is a true Log Home, 8" logs frame the entire structure w/post & beam interiors. Located on 1 1/2 acres in a residential mountain area, not a planned community! The Cabin overlooks Beltzville Lake State Park that features a 7 mile long lake w/ beaches, boating, kayaking, fishing, hiking and so much more. All popular sking and water parks are within a short drive, Blue Mountain can even been seen across the valley from our front porch. Our spacious log home is located in the heart of the Poconos - just 5 min. from exit 74 on the NE Extension of the PA. Turnpike. 1-Hour drive from Philadelphia and 2-hours from NYC. Blue Mountain, Big Boulder, Jack Frost, Camelback, and new indoor water parks are all just a short drive away. Nearby attractions include The Historic Town of Jim Thorpe, Pocono International Raceway, and Penn's Peak, a great place for big name entertainment and a spectacular view of the Blue Mountain Ridge. Review the list for other great activities and places of interest, all within a very short drive from our cabin. Our log home will comfortably sleep 11 people. There are 2 full baths and all linens are included. The fully equipped kitchen is next to a large dining area and a two story great room. There is comfortable seating in the living room and a wood stove provides comfort and warmth on chilly nights (traditional electric heat is also available in each room and there is air conditioning in the summer). The Family room has a large screen TV with DVD player and games for the kids. WIFI throughout the house, washer and dryer, and plenty of off street parking. Guests must either be families or adults over age 25. A binder on the dining room table has information on what to do, where to eat, where to go, and local attractions. . Driveway and parking area is plowed in the winter at the end of a snow fall. Because our cabin sits on a heavily wooded lot, no outside fires and/or fireworks are permitted.Sorry, no pets and no smoking inside. We also offer a 10% rental discount for active military and veterans w/ ID verification – thanking our fellow vets for your service! Please note that all holiday weekends require a 3 night minimum reservation. Over 50 of the best paintball maps on the planet spanning 700+ acres of prime Pocono Mountain real estate. If there are no guest checking out on the day of your arrival, your check-in can be as early as 9:00am. If there are no guest checking in on the day of your departure, check-out can be 3:00pm. We can usually let you know a few days ahead of your stay. 1 There's also a quiet seating space in the loft as well. Outside only, and dispose properly! Retreats, family celebrations, and special events are always welcomed - just be considerate, this is our family vacation home too! Plenty of off street parking and a turn-around driveway. Beltzville Lake is 7 miles long, w/ boating, fishing, hiking and tons of outdoor activities including a boat launch and sand beach. Blue Mtn. can be seen across the valley from our front porch and we're conveniently located within a hours drive to just about all the Poconos has to offer. Plenty of off street parking and the driveway is plowed following the end of an snowfall. We're open all year! Anything you could possibly need to from a simple coffee/tea to a gourmet meal! Mostly retired as a commercial photographer Janet & I have been in the in the hospitality business for most of our 50 years of marriage. We built this cabin when our own kids were kids as our family vacation home, and now with our grandkids. Our Pocono Getaway is the perfect retreat from your busy life, quiet - comfy and very family friendly! No singles under age 25 unless family members or guests of primary renting family. Damage deposit is returned 1- week following check-out if there are no issues. Treat our home as yours. Full refund if reservation is cancelled before 30 days of your arrival. If less than 30 days we'll refund payments if we can re-rent the same dates as your original reservation. We do not accept spring break groups or singles under age 25 unless family members. No fireworks, paintball and/or firearm shooting. NO outdoor fires. Unruly, boisterous and loud behavior could result in forfeiture of damage deposit. This is also our families retreat as well, be considerate and be welcomed back! No smoking indoors, no fireworks, paintball shooting or outside fires. We are located on a heavily 1 1/2 acre wooded lot in a residential area, not a planned community, please respect the privacy and noise considerations of our neighbors. Just 3 miles from Exit 74 on the NE Extension of the PA Trnpk. Car is necessary.